Between work and my girlfriend’s birthday, this past week has been busy for me. As a result, I’ve only reached the 9th (of 13) episode of Netflix’ Daredevil. And so far, I am hooked. 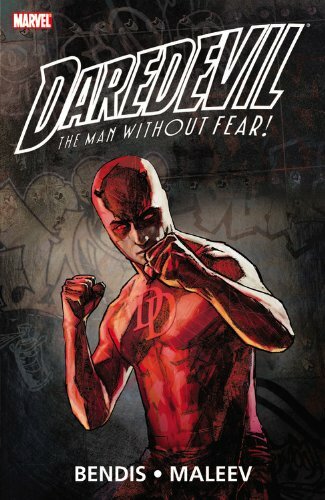 I really like how they’ve taken Daredevil’s mythos and tied many of its elements together. It’s unquestionably inspired by Frank Miller’s run, but its overall tone is more in line with the work that came later. Let’s dive right into that, continuing on from last week. Undoubtedly, the most significant run and the one that certainly created many new fans of the Devil from Hell’s Kitchen, Bendis came on board when he was a relatively unknown name in the industry. He’d been making a bigger name for himself in late 2000 with Ultimate Spider-Man and Powers. His Daredevil run was more in line with his previous work. Before, Bendis was known for independent crime fiction, such as Sam & Twitch, Jinx, and Torso. All work I recommend if you’re into crime fiction, I might add. 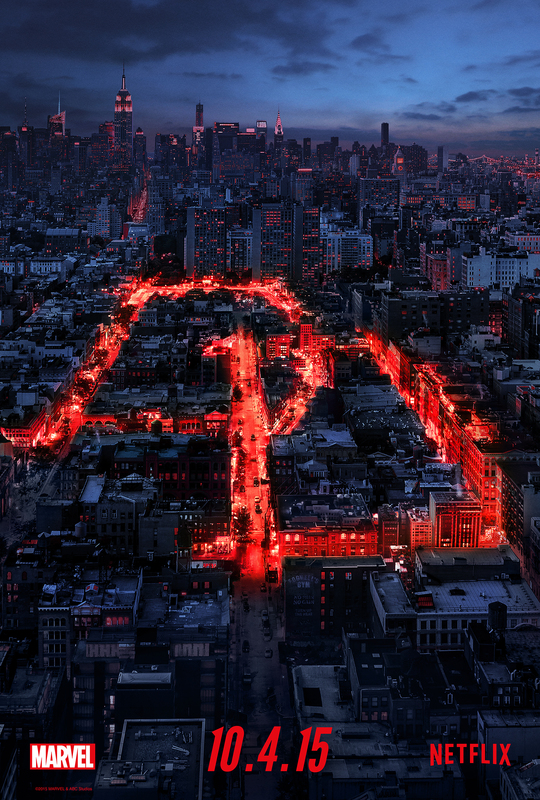 So adding that gritty crime drama to Daredevil seemed like a natural fit. Boy, did it ever fit. 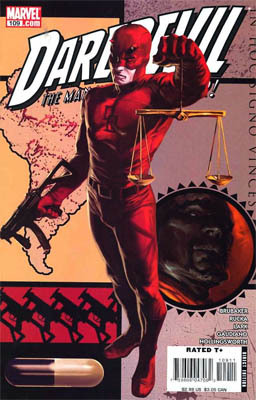 For almost 60 issues, over 5 years, Bendis put Daredevil on the map with his character-focused drama along with arguably the best work from Alex Maleev. Their depiction of Hell’s Kitchen and the stories within were gritty and more realistic, even compared to Frank Miller’s run. You had Shakespearean-like betrayals, character dramas, and putting Matt Murdock through emotional wringers like no one before. In fact, there were times that both the readers and supporting characters questioned Matt’s sanity. Between this and Ultimate Spider-Man, Bendis became a household name in the industry. It’s no wonder he went on to write many other big name Marvel books like Avengers and X-Men. His writing style, especially with a strong focus on back-and-forth dialogue, hadn’t been seen before. Even better, while it certainly doesn’t end on a light note, Bendis’ run draws to a close in a satisfying way where everything ends in a relatively logical conclusion. I can’t imagine how some creative teams must feel. If you’re following up on a long, highly acclaimed, and award-winning run like Bendis and Maleev’s, how do you possibly top it? Some creative teams ignore previous runs and do their own thing. Others try to follow up by continuing the story, building from the previous run while mixing their own styles with it. Brubaker and Lark did the latter. Ed Brubaker was no stranger to writing crime fiction. His phenomenal runs on Catwoman Gotham Central more than proves that. That he teamed up again with Michael Lark after their work on Scene of the Crime and Gotham Central made fans like me even more excited. It seemed like the perfect pairing. Did it work? For the most part, yes. 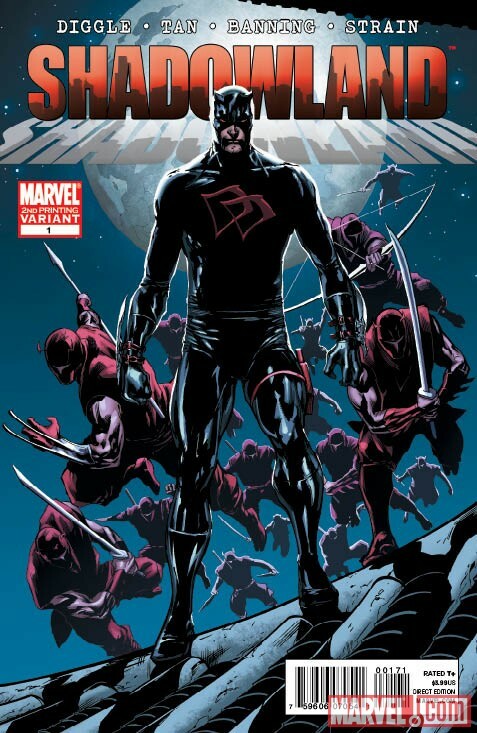 Brubaker continued on where Bendis ended, with (SPOILERS) Murdock in prison with some of his worst enemies. (SPOILERS) Just when you think Bendis had put Daredevil through the wringer enough, Brubaker proves you wrong at every turn. Amazingly, the drama gets more personal, as even Matt makes mistakes that he later regrets. The villains target him in ways that push him even further over the edge. One thing that sets Brubaker apart is his stronger use of supervillains, like bringing back Mr. Fear as a major threat or introducing a new villainess, Lady Bullseye. In fact, I would argue that Lark depicts action sequences better than Maleev. There’s more of a flow of motion to them that I personally think Maleev faltered with at points. It’s comparing one artist’s strength to another, because they’re both great. I think Brubaker’s run slips towards the end, though The building threat from the Hand ninja clan creates very compelling action. We see Matt dealing with things like brain-washed friends and having to make some tough decisions. Only…Brubaker’s run just sort of ends on a major, and dark, cliffhanger. It leaves Matt in a very dark place, making you question if he’s even a hero anymore. It’s a very unsatisfying conclusion to what is overall a great run. I would still recommend it because there’s no such thing as a bad Ed Brubaker comic. What followed Brubaker’s run was…disappointing. I don’t want to harp on Andy Diggle’s run because it’s not bad. It just got very silly; and unlike Mark Waid’s run, not in a good way. See, Daredevil became the villain in a crossover event called Shadowland. With some parallel’s to DC’s Hal Jordan becoming Parallax, an ancient demon possessed Daredevil. Compared to previous runs, it was a very odd follow-up. 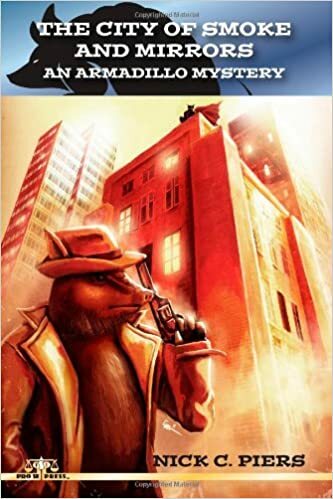 The progression from the street-level noir-style stories felt unnatural. Worse, it was embroiled in a big, confusing crossover event that included a number of tie-in one-shots and mini-series. Reading it in collected form is near impossible because they collected the main Shadowland story and the accompanying Daredevil issues separately. For the longest time, Daredevil was tucked away in his own little section of the Marvel Universe. He was separated from all the crossover tomfoolery, where you could read one issue after another without needing any other books. Compared to that, Shadowland was a kick in the teeth. I enjoyed Brubaker and Bendis’ respective runs because they were self-contained, away from House of M, Civil War, or other giant crossovers. Maybe I’m just bitter that Diggle’s run boils down to a big crossover. And that’s why I have a hard time recommending it. Check it out, though, if you’re interested enough. Daredevil’s smiling again, you guys! While I adored Bendis and Brubaker’s runs, they weren’t upbeat comics. Neither are most comics today. Many comics today focus more on angst or showcase edgier or more “realistic” takes on superheroes. Some of this is Hollywood’s influence bleeding in. Now, to be fair, I firmly believe that Daredevil is a versatile character who fits into many roles, including the street level noir style. There’s nothing wrong with a more down-to-earth presentation. But after awhile, I crave something fun again. Enter Mark Waid. As I’d mentioned before, some creative teams chose to break away from previous runs, to do something entirely different. And while Waid certainly references occurrences in Brubaker and Bendis’ runs (such as Matt’s ex-wife, Milla), he strikes out on his own, returning Daredevil to a more swashbuckling style of superhero stories. Gone is the realistic approach as Daredevil fights super-powered villains like Klaw, The Spot (no, really), Mole Man, and a returning Stilt Man! Stilt Man, you guys! Yet despite all the hilarious or fun moments, the series is also filled with an assortment of heartfelt character moments. 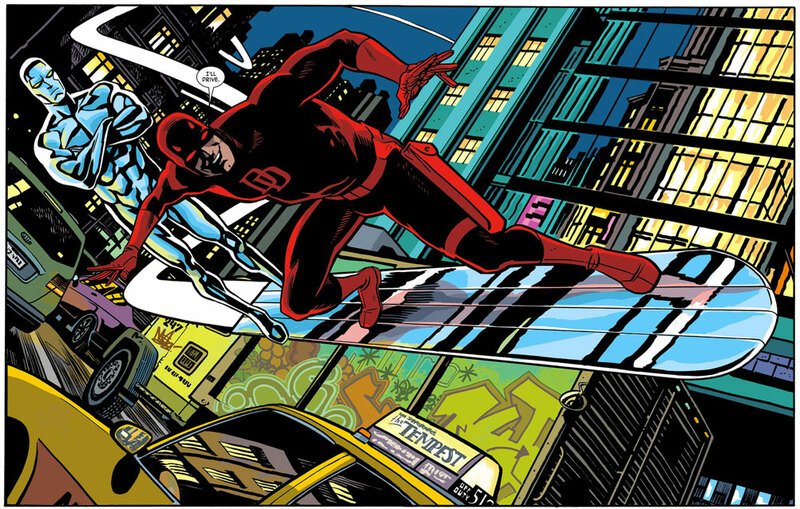 For example, Daredevil finds an unlikely friendship in Hank “Ant-Man” Pym. More importantly, Matt friendship with Fogey Nelson is a great highlight, as his old friend worries whether Matt’s sudden upbeat optimism is all a facade or if he really is trying to be happy again. Or when serious health issues arise with Fogey and Matt must find a way to cope and keep his friend’s spirits up. Accompanying Waid are some incredibly stellar artists. Paolo Rivera, Marcus Martin, and later Chris Samnee all carry a less realistic and more cartoonish style that absolutely suits the lighter tone. Their style feels like something straight out of an animated series. The various colourists on the job bring a brighter, more vibrant style that makes every page and every panel pop out. As of this writing, Waid’s run draws to a close. He’s moved Daredevil to San Fransico and even given Daredevil a whole new costume (seen here). When I first saw it, I thought it was sacrilege. Yet, Waid’s strong and consistent writing throughout the run made it oddly work. Naturally, it’ll be undone by the next creative team or, more likely, by the end of Waid’s run. But it still shows that his run is nearly untouchable. I loved Bendis and Brubaker’s respective runs, but Waid found the perfect balance between serious moments and having pure fun. It’s comics like this that make me glad to be a fan of the medium. Is it the same kind of realistic take as the TV show that everyone’s raving about? Heck no. But it’s fun. And sometimes, you need just sit back and let yourself have some fun with superheroes. This entry was posted in Comic Books, If You LIked and tagged alex maleev, brian michael bendis, chris samnee, Daredevil, ed brubaker, mark waid, marvel comics, michael lark, Netflix. Bookmark the permalink.